My last Travel Planning Series article was all about finding destination inspiration. Things like looking through photos on Pinterest and Instagram, flicking through magazines and talking to family and friends. Now that you’re feeling inspired, it’s time to get stuck into the planning. But where do you start and how do you know the information you are reading is trusted? There is so much information out there on the internet these days that it can be hard to know who and what to trust. It can be a daunting task sifting through the hundreds of thousands of travel related pages out there and then coming out with a handful of information that you are still really not that sure about. After years of experience trawling the internet planning my own travels, I’ve learnt what is and isn’t to be trusted. Here are a few simple tips to find trusted travel planning information on and off the internet. For every place I visit I always get a copy of the Lonely Planet for that place. Sometimes its a physical paper copy, other times I just purchase a chapter of a larger guide to download on my iPad. I find guide books to be the perfect starting point when creating an itinerary and also for using as a reference when on the road. They provide you with all the basic information written by experts who have travelled and researched these destinations thoroughly. I use them mostly to get an overview of what are the must see sights in a destination and for tips on places to eat, drink and stay. Some also have sample itineraries and self guided walking tours in them which I have found helpful in the past as well. Buy a copy of the Lonely Planet guide for your next trip HERE. If you have a specific question about a place that you can’t seem to find the answer too or the answers that you have found just don’t seem right to you, then why not ask it on a forum. There are lots of these forums out there but the ones I keep going back to are TripAdvisor and Trippy. TripAdvisor gets a bad wrap a lot of the time but the way I think about it is that it’s successful for a reason. If people were continually getting bad advice from TripAdvisor they would go out of business. The way their forum works is that anyone can ask or answer questions posted on topic specific boards. There are also people who are appointed destination experts by TripAdvisor who constantly monitor there appointed board answering any questions they can using their expert knowledge. I have had some really good advice from both destination experts and regular forum readers on the TripAdvisor forums. Trippy is a few years only now and I must confess that I spend way too much time on it. You can sign up for a free account and then ask as many questions as you like. Popular questions I see frequently are people asking for suggestions on sights to see, places to stay and things to eat in various destinations all over the world. Another good question is to ask others to offer suggested itineraries. When your question is answered, not only can you read the text but Trippy automatically picks up sights, addresses etc and plots them on a map for you. I must first say that you should always take reviews with a grain of salt. For every good review out there, there is a bad one lurking as well. When reading reviews you need to remember that not everyone goes into an experience with the same level of expectations. Someone who stays in five star hotels all the time might say that the standard of service isn’t up to par at xyz hotel, while a backpacker having an end of trip splurge at the same five star hotel will think it’s the bees knees. With this being said, reviews are a great way to get an idea if the sight, hotel, restaurant etc is for you. Read between the lines. If the person seems like they are just having a big whinge, then they probably are. Same goes if they are over gushing about the place, they may have been paid. As long as you don’t take them too seriously, you shouldn’t have a problem using reviews to guide you in creating your itinerary. And where can you find reviews? Basically any website that offers a product or service will have a review page or link to one of the bigger review websites like TripAdvisor. I use the reviews on sites like Booking.com when checking out hotels and GetYourGuide when looking for tours. As you would use travel bloggers as a source of inspiration, they are also the perfect people to gain knowledge from by reading about your chosen destination in posts on their blog or resources that they have created specifically for their readers. On The Trusted Traveller I never write about a destination I haven’t personally experience myself and that is the case with most other bloggers too. So how do you find good travel bloggers? Well, you can do a search for travel bloggers on the internet and chances are the first page will be full of pages from some of the best. Or maybe try searching more specific terms like ‘adventure travel blog’ if adventure is your thing or ‘solo female travel blog’ if you want advice about travelling solo as a female. It is popular for travel bloggers to produce free or cheap comprehensive travel guides for their favourite destinations around the world. This is great for you because they are sharing with you their expert tips and knowledge of destinations they feel passionate about and know so well. Just about every major or minor city, region and country in the world has a tourism board or office that you can get information from. In the past you would usually show up at your destination and head to the city’s tourist information office to find out about local tours and things to see in the area. But these days, while these offices still exist, a lot of that information is now online. Search the internet for ‘official tourism site xyz’, changing the xyz to your chosen destination. You will find that usually the first result will be the official tourism website for that destination. Here you will find a website in a multitude of languages with all the information you could need for planning your visit. You will find lists and information on just about everything these is to see and do in that place as well as contacts for accommodation and tours. Plus basic information like weather, transport, currency, banking etc. My only gripe with official tourism websites is that sometimes the content and information can be sponsored. Businesses in that city are sometimes allowed to promote their products or services above other operators who may offer a better service. No one way is the right way of travel planning. 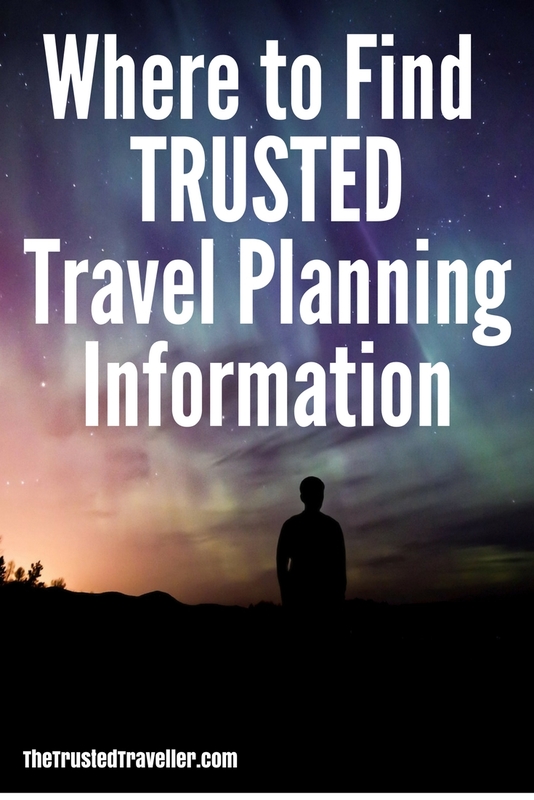 I suggest using a combination of some or all of the above ways of finding trusted travel planning information to ensure you have a fool proof plan. Always remember that the internet is an easy place for people to advertise false information. I recommend fact checking anything you read that doesn’t sound quite right with another source. Finally, I am always here to help answer your questions, whether is be in the comments of these posts or via email or social media. If I don’t know the answer, I can guarantee you with my industry contacts that I know someone who can help you! 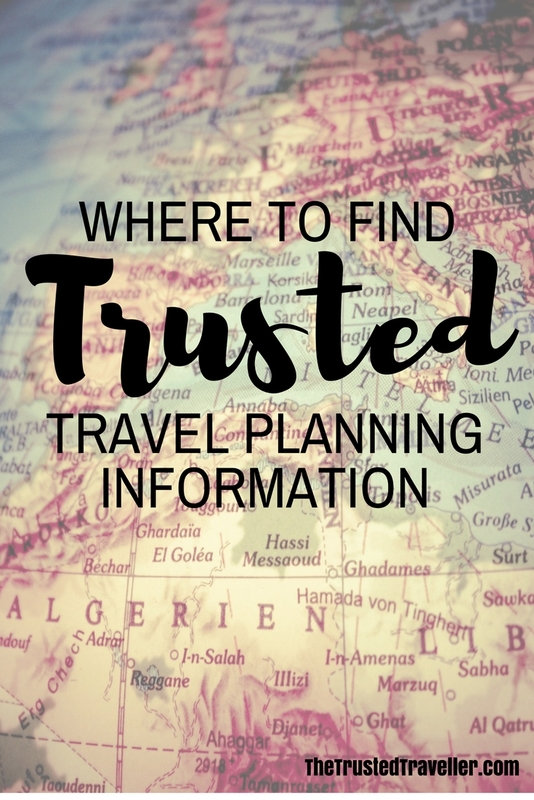 What resources do you use to find trusted travel planning information? Wow! This is so informative..You will help a lot of travelers specially the newbies and even the not so new but still clueless on traveling with this posts. Thank you. Interesting read. Thanks Vanessa. Really appreciate your feedback. great element of resources here thanks! How funny! I use guide books more the get an idea of what there is to see, do and eat rather than solid information because I agree, they can become outdated.